The luxury “bracket” of real estate can be a difficult space to get into, but is very lucrative. How do we set ourselves up to get into luxury real estate? 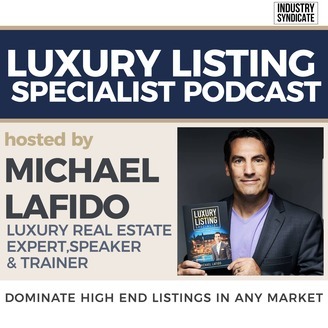 What do we need to do differently when dealing with a luxury listing? 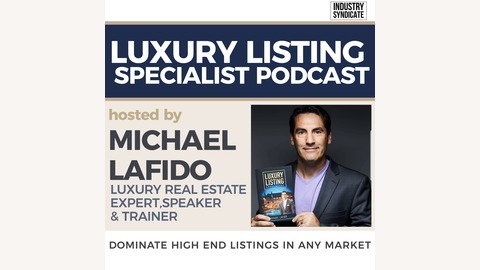 In this episode, Anthony Lamacchia shares on launching a luxury program and outlines his free content platform for agents, ‘Crush It in Real Estate’. In the luxury space, we have to take every aspect to the next level. When we improve everything from our pictures to our floor plans, we give our agents something better to offer when they run luxury listings. When dealing with sellers, three of these four P’s need to be met. The price needs to be realistic, the person needs to be nice to work with, the property needs to be unique, and the positioning of the property must be right for the market. If you have never dealt with a luxury listing before, you have to be more flexible as an agent. You’ll have to take on an overpriced property or a difficult client in order to build your book up to the point where you can turn down listings. On this episode we discuss launching a luxury program in 2019. Anthony Lamacchia explains how and why he decided to start the program, and the growth and impact his free content platform for agents ‘Crush It in Real Estate’ has had. As agents, we can increase our average sale price by having more homes from the luxury bracket on our roster. However, it is an area that we need specific tools to succeed in, and certain qualifications need to be met in order to get into luxury. Every aspect of the listing and marketing process needs to be next-level, and we have to look at the price, seller, property and positioning in more detail. Initiatives like luxury programs and accessible agent-specific content will help us get to the level we need in order to succeed in luxury. Anthony Lamacchia is the Broker/Owner and CEO of Lamacchia Realty, Lamacchia Property Management, Lamacchia Development, and REAL Training and Systems Inc. He spends his time running the companies, training agents and his national coaching customers, and strategically planning for the future. Anthony is considered an industry expert, having done hundreds of television appearances on local news and many speaking engagements at national industry conferences. He is completely obsessed and passionate about providing all the agents and employees in the company with top-notch technology, the best possible tools, and the absolute very best training to excel in their careers and grow their businesses.